Introducing our great value new summer Specials Menu! Choose from a selection of our delicious dishes, including some of our best loved classics, for only £9.95 all day Sunday – Friday. Plus, add a starter or dessert for just £2 each! 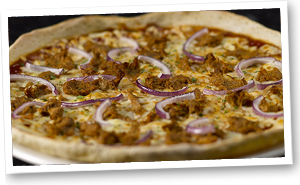 Kick off with a bowl full of our delicious oven baked Garlic Dough Balls before taking a bite out of our Pulled Pork Pizza: lashings of succulent pulled pork, mozzarella and red onion on our classic American BBQ sauce base. It’s pizza perfection! For dessert, cool down with our new Blueberry Eton Mess Sundae – layers upon layers of vanilla and blueberry ice cream, meringue and blueberry sauce, all topped with whipped cream. Big on flavour, light on the wallet!